Railpictures.ca - Stefano Photo: CN 332 makes it way through Brantford with plenty of horse power. | Railpictures.ca – Canadian Railway Photography – photographie ferroviaire Canadienne. 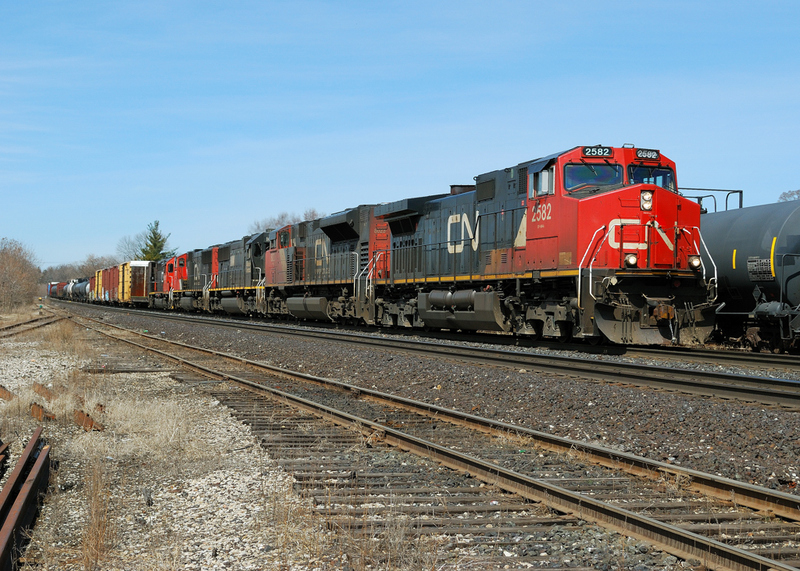 Caption: CN 332 makes it way through Brantford with plenty of horse power.